Top Quality medicinal mushroom extracts with scientifically proven effectiveness. The production of medications in the modern world is unthinkable without the lower fungi, moulds in particular – including penicillin and many other antibiotics. On the other hand, the medicinal qualities of some of the higher fungi, above all those of the class Basidiomycetes, and the possibilities of their medicinal application, remain a virtually unknown territory to official pharmacology and Western medicine. While phytotherapy, scientifically tested, has long been recognized, and is even back in fashion, mycotherapy – taken in its broadest sense as the empirically and scientifically founded practice of preserving human health, the prevention of the emergence and development of disease, and direct expert healing using fungi and fungal products, especially of diseases that official medicine is not even close to resolving (malignant, viral, chronic…) – continues to face anonymity, suspicion, fear and disbelief. And yet, behind the knowledge and use of the medicinal qualities of some types of mushrooms, there are thousands of years of experience of traditional medicine, thousands of cases of precise scientific research, published clinical and other experts’ works, hundreds of patents and a number of registered medications (e.g. in Japan, lentinan and PSK have been registered cancer fighting medications since the mid 1980s and are, in terms of market placement, among the top 10 anti-tumor preparations on that market, with sales in excess of 400 million dollars a year). Far from the charlatanic negation of the customary preparations and methods of medical science, the mycological segments of traditional medicine and modern scientific research seriously and responsibly collaborate and contribute to the struggle for healthier human life, both of the individual and the community. Mushrooms contain both antibiotics and immunostimulants, substances effective in combating tumors and viruses, substances that reduce cholesterol, prevent the clotting of blood vessels, regulate blood pressure, improve blood flow, balance blood sugar levels, regulate digestion, improve the work of respiratory organs, act as anti-rheumatics and anti-allergic, stimulate or calm the central nervous system in a harmless fashion, improve sexual function, improve physical strength and endurance, slow the ageing process… The ancient knowledge of these qualities of mushrooms and the thousand year tradition and experience in their use have been reviewed and tested by numerous teams of eminent scientists using modern research methods, for at least fifty years, nowadays applying the cutting edge of technology. In essence, is in accordance with the long-standing recommendation of the World Health Organization that all tested medical experience and methods from various civilizations, not just those of official Western medicine, should be applied in maintaining good health. The Chinese medical traditions are truly ancient. According to some estimates, mushrooms have played an important role in Chinese civilization and culture for perhaps as much as 7,000 years. 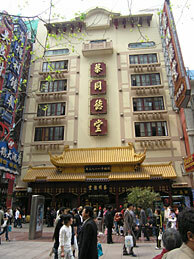 Chinese traditional medicine is among the oldest in the world, as its development started at least 5,000 years ago. The oldest official list of medicinal substances (materia medica), Shen Nong Ben Cao Jin, was created between 500 and 1,000 years B.C.E., if not earlier, and is based on the classic medicinal and pharmacological knowledge of the first known Chinese Emperor Shen Nong from the 29th century B.C.E. Among many other medicinal substances, this list cites several species of mushroom (including the already revered ling zhi, Ganoderma lucidum, whose many exceptional qualities have been confirmed by a series of precise studies). 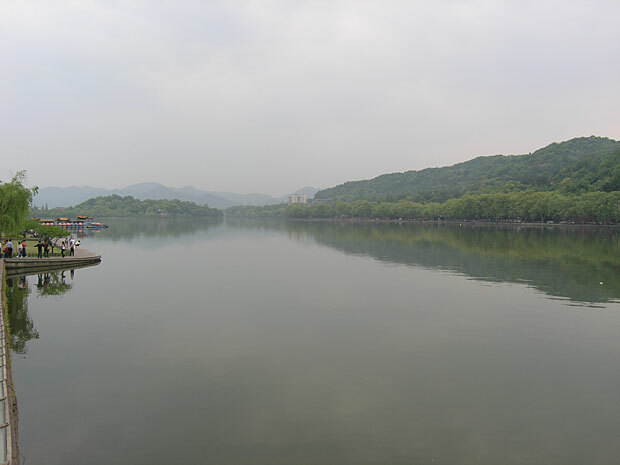 At the end of the ancient era, famed ancient Chinese physician Tao Hong Jing extended the list by several other species, whose medicinal qualities have now also been scientifically confirmed. In Li Shi Chen’s monumental 1578 work, the most famous Chinese work concerningmateriae medicae, Ben Cao Gang Mu, which the author worked on for a full 26 years and addressed virtually 1,900 animal, plant and mineral medicinal substances and over 8,000 prescriptions, cites as many as 20 species of medicinal mushrooms. Two Chinese university professors, Liu Bo and Bau Yun-sun, compiled these millennia old experiences in the book Fungi Pharmacopoeia Sinica, published in 1980 in the USA, in which they describe the use of more than 120 species of medicinal mushrooms. 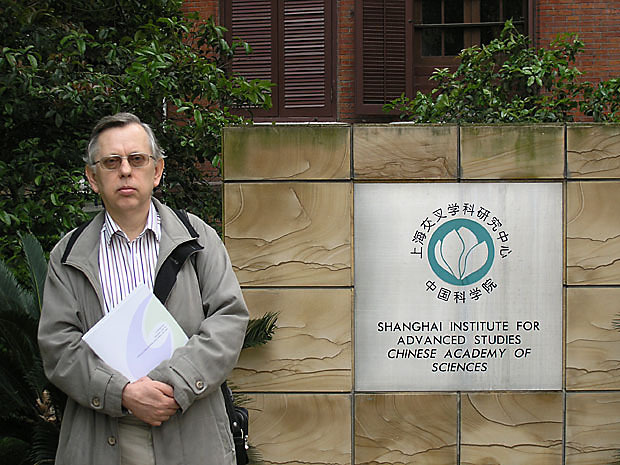 In Beijing, five Chinese experts and scientists (Ying et al. 1987) published the book Icons of Medicinal Fungi of China, which addressed 272 species of medicinal mushrooms. It is interesting that the Chinese long ago developed the craft of cultivating certain species, another evidence of their great knowledge and application of mushroom species. In the work Tang Ben Cao, dating from 659 C.E., So states that the Judas’s ear fungus was first cultivated as early as 600 C.E., while the velvet stem (Flammulina velutipes), was first cultivated about 800 C.E. (Han in a work from 1590). The shiitake mushroom (Lentinula edodes, known by the Chinese as “siang gu”), now perhaps the most famous medicinal mushroom, was first cultivated in China in about 1000 C.E., as Wang stated in his publication Book Of Agriculture from 1313. The oldest work on the experiences of traditional Japanese medicine in healing with fungi is linked to the year 199 C.E., when the Japanese Emperor Chuai received a shiitake mushroom as a gift from a native tribe. The thousand-year experience of the Japanese in the use of medicinal mushrooms has been compiled and studied by the Institute of Mushroom Research in Japan, founded back in 1936 by the physician Kisaku Mori. He collected the results of his many years of work in the field in the classic book Mushrooms as Health Foods, published in Tokyo in 1974. The value of these grand medical traditions in the Far East was perhaps best expressed by the Japanese expert in the field, Kosai Matsumoto II, who said that Western academic medicine does not possess medications that had been tested in medical practice for two thousand years or more. One should bear in mind that this also involves a population of several billion people. It would not, however, be fair to gloss over Western medical tradition, even though the use of medicinal mushrooms has never been as widespread there as in Asia. The ancient Greeks and Romans also used several mushroom species in healing and this trend continued through the Middle Ages and into the Renaissance. Hippocrates himself, recognized as the “father of modern medicine”, at the peak of his work about the year 455 B.C.E., mentions the use of mushrooms in moksha (applying heated substances to particular points on the body), to stimulate certain points in the treatment of chronic kidney diseases (such as dropsy), which has a surprising similarity to the meridians and points of Chinese acupuncture. Pliny (1st century C.E.) mentions numerous mushrooms in his writings, although it is hard to ascertain which species are denoted under his most frequently used name Agaricum. It is assumed that this refers primarily to the fungus Fomitopsis officinalis, which was used as a panacea for many of the most prominent illnesses of that time. If it could hold up under the test of modern science, this species could be the precursor of modern adaptogens, the natural regulators of bodily functions that balance the activities of the subsystems of the human body, prevent the destructive effects of stress, improve stamina and the immune system. Dioscorides, a physician in Nero’s army in the mid 1st century C.E. was author of the most widely used work on medicinal flora in history, De Materia Medica. This publication has truly stood the test of time, and was considered an absolute authority for over 1,700 years, and is the chief “culprit” for the low respect for mushrooms have in European medical history. In reflecting the dominant thinking of the antiquity, he described mushrooms as generally hard to digest and often poisonous, and it appears that the only species reputed to having medicinal properties was the species Agarikon, i.e. 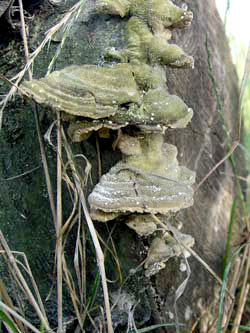 the already cited F. officinalis, which was frequently confused with similar tree fungi. The influence of the ancient Greeks is felt throughout the entire medieval and Renaissance period, as is confirmed by Gerard’s well known Herbal of 1633, composed on the basis of many “herbalists” that preceded him. And so the use of medicinal mushrooms has endured on the margins of European and Western medicine right up to the 20th century. Over the last hundred years, expert and scientific verification of Eastern Europeans, especially Russians, has made a special contribution to the knowledge of medicinal mushrooms. This fact is not given due acknowledgement and is largely unknown, with the exception, to some extent, of the use of the chaga mushroom (Inonotus obliquus) in treating cancer. Over the past 50 years, the experience and knowledge of traditional medicine of the properties and use of medicinal mushrooms has been systematically tested by strictly scientific methods: determining the active substances of mushrooms, their chemical composition, and how they work. Research has been carried out on test animals, human cell cultures; clinical studies have been conducted. The Japanese are at the forefront in this regard, and the Chinese have made significant contributions (though the results of their data are less accessible). However, the Koreans, Russians and others are also taking part, as are Western scientists, led by the Americans. 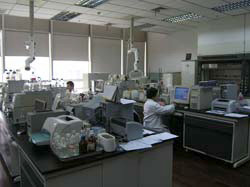 These researchers are active at institutions such as the National Cancer Centre in Tokyo and at leading Japanese universities, where research is usually financed by the Japanese Ministry of Science and Education, and the Japanese Agency for Science and Technology, at the Chinese Academy of Science (its Botanical Institute and others), the Academy of Traditional Chinese Medicine, the Institute for the Testing of Medications and Products of Live Origin, well-known Chinese universities in the People’s Republic of China, Hong Kong and Taiwan, and the National Cancer Institute in the USA, American universities and so forth. The results have been published in eminent international magazines in the field of medicine (oncology, immunology, virology…), pharmacology, biology and biotechnology. Data on medicinal mushroom research are stored in the world’s leading databases (such as Medline), as are many patent documents. Skeptics can simply see for themselves the massive scope of this field on the Internet; all one needs to do is enter the phrase “healing mushrooms” or “medicinal mushrooms” or the name of any significant species of mushroom into any of the larger internet search engines. Perhaps the most illustrative is a review article on antitumor and antiviral substances in mushrooms by Shung Chang Jong and Richard Donovick. The first author is from the American Type Culture Collection, the world’s leading bank of microorganisms, cell lines, genes and cellular products, established back in 1925 and involved in the activities of global organizations, including UNESCO and the World Health Organization, which pool all of the top American and some Canadian organizations from various branches of life sciences (biology, biochemistry, microbiology, immunology, genetics, pharmacology, mycology…). For example, in 1992, the Collection had over 55,000 strains of algae, bacteria, fungi and yeasts, animal and plant viruses, plant and animal cells, cloned genes and gene, seed and other banks. The second author is from the Therapeutic Programs Development Department of the U.S. National Cancer Institute. In their article, these two authorities listed more than 420 species of fungi (including single-celled) proven to produce antitumor and antiviral substances. It should be noted that the list is still far from complete. Medicinal mushroom products are manufactured and used in modern medical practice in China, Japan, North and South Korea and increasingly in the USA. The public is still not sufficiently informed that they are also produced here in Croatia, for the first time in Europe, though still on a quite modest scale. A strategic international conference on fungal biology, fungi production and mushroom products hosted a few years ago by the UN Educational, Scientific and Cultural Organisation (UNESCO) and the Department of Biology at the Chinese University in Hong Kong clearly is indicative of the current significance and perspectives. This conference brought together virtually all of the world’s leading mycologists. One of the five theme sessions was entitled “The Nutritional and Medicinal Properties of Mushrooms”. 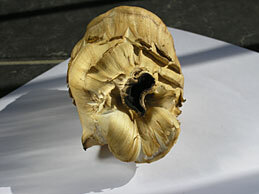 Ganoderma lucidum (reishi, ling zhi) is a famous mushroom used against cancer. The least controversial beginning of precise scientific research into the antitumor effects of (higher) mushrooms is held to be that of Lucas and his associates at the University of Michigan (USA). In the late 1950s, they confirmed the suspicions of traditional folk medicine as to the medicinal qualities of the giant puffball (Calvatia gigantea) in fighting cancer, by isolating the active substance calvacin. It was folklore, this immeasurable sea of the folk culture, tradition, customs and creeds, which have inspired the first research into the antitumor effects of mushrooms. When, for example, Hartwell composed the first extensive overview of folk medications against cancer almost 30 years ago, it contained plants, and both poisonous and edible higher mushrooms, and the hard, inedible fungi, used for ages in the form of various infusions. This first precise study also included direct collaboration between the American scientist Lucas and the Japanese pioneer in mushroom medicinal research, K. Mori. The majority of research into the antitumor effects of mushrooms has been carried out in Japan. At the Research Institute of the National Cancer Centre in Tokyo, Ikekawa and associates carried out research into the antitumor effects of the extracts of 7 edible mushroom species back in 1969 on mice into whom they had first introduced sarcoma 180. Their findings were confirmed and expanded 5 years later by Hamuro and Chihara in a joint study carried out by the Institute and the well known food company Ajinomoto. The basic result of this and other research is as follows: Lentinus edodes (shiitake) showed an 80.7% rate of tumor growth inhibition, with a complete regression of the tumor in 6 of 10 cases (with some components, the rate of tumor regression is up to 100%, with complete tumor regression in all cases); Coriolus versicolor showed a 77.5% rate of tumor regression, with complete tumor regression in 4 out of 8 cases; Ganoderma lucidum showed a 98.5% rate of tumor regression, with complete tumor regression in 4 of 5 cases (with some components the rate of tumor regression is up to 100%, with tumor regression in all cases), and so on. The cited researchers, and both Mori’s (father and son), Maeda, Taguchi, Nanba, Aoki and many others, have irrefutably proven that some medicinal mushroom show a high or very high rate of regression on various types of tumors, a significant rate of their complete regression if their use is implemented on time, and very powerful protection from tumors if used prior to their emergence. Working systematically for almost 40 years, in the relative isolation of their “Middle Empire”, scientists in the People’s Republic of China (such as Xiao – Yu Li, Jia-Fang Wang, Q. Y. Yang and others), reached similar findings following in the footsteps of their 14th century predecessor, the physician Wu Rui, who first wrote that shiitake was useful in healing various “malignant formations”. Particular efforts have been made in isolating the active components of mushrooms with antitumor effects. Chihara and associates were the first to isolate lentinan (and several other antitumor substances) from the shiitake mushroom, establishing that this wondrous high molecular weight polysaccharide can, depending on the dosage, halt sarcoma 180 from 90-100% and lead to its complete regression. 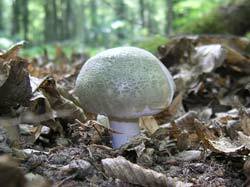 Equally effective is PSK from the mushroom Coriolus versicolor. This compound is of very low toxicity, virtually harmless. Unfortunately, this is not the case with the antitumor proteins of some mushrooms (such as the velvet stem, F. velutipes). Powerful antitumor agents have been discovered in the mycelium of certain species of mushrooms, such as KS-2 and LEM from the shiitake mushroom. What is particularly significant is that some antitumor agents are effective not only on primary tumors, but also have a high rate of inhibiting the emergence and development of metastases. Chihara and associates at the National Cancer Centre in Tokyo proved this is true with lentinan, while H. Nanba of the Kobe Pharmaceutical University (Japan) recently also proved the same of the D-fraction extract of the mushroom Hen of the Woods (Grifola frondosa), publishing a report to this effect in the annals of the New York Academy of Sciences. Where do these antitumor components of some mushrooms originate from and why are they there? Back in the 1960s, Hungarian Nobel Prize winner Szent-Györgyi, researching substances that inhibit and improve cell growth, established that growth inhibitors known as retine, a derivative of methylglyoxal earlier known to have carcinostatic effects, are present in mushrooms in a greater concentration that what are known as promine, which promote cell growth. In his experiments, retine demonstrated antitumor effects, and he explained their increased concentration in mushrooms by the fact that mushrooms live on dead and decaying substances, and are as such exposed to attack from numerous parasites and these retine are used to combat the growth of these parasites. 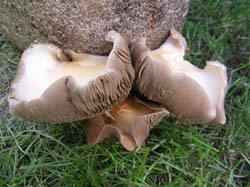 Many medicinal mushrooms are woody and therefore inedible. Extracting the valuable beta glucans is essential prior to use. How do the antitumor substances in mushrooms actually work against cancer? Above all by initiating numerous immunobiological changes in the living body of the “host”. The primary role is played by the organism (host) itself which, with the help of certain substances, alters its functions to achieve healing. The term “biomodulator”, i.e. from “biological response modifier”, has been in use since 1980 for these substances. Among those of biological origin, one of the three basic groups includes biomodulators originating in mushrooms (along with those from bacteria and those from living cells). These substances enhance and/or re-establish the organism’s immunological functions, both the “non-specific”, i.e. general and specific immunity against tumors. These substances also inhibit the development of tumor cells, directly destroying them and modifying tumor cells so that the organism’s defensive system is able to, more readily, recognize them and thus more successfully destroy them. In some situations, they speed up the maturation of tumor cells, turning them back from malignant into benign. We can cite the example of the immunological function of lentinan in the human body in vivo: thought it does not have a direct cytotoxic effect on the tumor cell, it acts indirectly through the host body (host-mediated), by inhibiting the creation of substances that weaken immunity, and strengthens substances that improve immunity. It also beneficially affects the production of antibodies and increases the production of the body’s own interferons, activates the natural killer cells (NK), activates cytotoxic macrophages, speeds up the creation of interleukin 1, which activates lymphocytes and other interleukins, activates the classic and alternative “trajectory” of complements, and, in particular, activates cytotoxic and helper T lymphocytes and so forth. Similarly, PSK, schizophyllan and other polysaccharides from mushrooms are powerful stimulants that improve the ability of defensive cells to recognize and kill various tumor cells but also, by activating these and other factors of humoral and cellular immunity, to strengthen the function of normal cells and prevent the weakening of immunity. It should come as no surprise that these active substances from medicinal mushrooms, besides having these chief immunostimulatory and immunomodulatory antitumor effects, also have other beneficial effects: they ease undergoing surgery and speed up post-operative recovery, improve tolerance to chemotherapy and radiotherapy and prevents their side-effects, and also prevent damage that cytostatics and radiation can cause, especially to defensive cells. Some Japanese studies and clinical experience have shown that chemotherapy and tumor irradiation, in combination with certain antitumor substances from mushrooms, are significantly less uncomfortable and harmful, while also being much more effective. It should also be mentioned that pain caused by tumors is alleviated or entirely eliminated, the patient feels better, strength and stamina are improved, as are the appetite and general health. Human clinical trials have shown that the antitumor substances from medicinal mushrooms are most effective in combination with surgical treatment, chemotherapy and radiotherapy. This approach is used in the official medical application of these medications, above all in Japan and China. Along with numerous “uncontrolled” clinical studies and partial clinical experience, strictly controlled clinical trials have also been carried out in these countries. In the early 1980s, Taguchi and associates carried out a study with 275 patients with advanced or recurring stomach cancer (phase III). Combining lentinan with each of two selected cytostatics, he proved that lentinan statistically significantly prolongs life, alleviates damage caused by the tumor and improves the patient’s immunological reactions towards the tumor, with rare, mild and passing side effects. Immediately afterwards, Kasamatsu conducted a study on patients with cervical cancer (phase III). He proved that PSK significantly prolongs life in combination with radiotherapy (over a span of 5 years, 21% of patients who had received PSK died, as opposed to 52% in a group which did not receive it), by making the tumor more sensitive to radiation. In the early 1990s, a controlled study carried out by Mitomi and associates on 462 patients who had undergone surgery for colon and rectal cancer showed that PSK, in combination with a single cytostatic, contributed to a greater survival rate without a recurrence of the disease than if only cytostatics were used. In China, Q. Y. Yang and associates carried out a controlled study on 485 patients with esophageal, stomach and lung cancer, establishing that PSP (an agent from the mycelia of C. versicolor) significantly alleviates the side effects of conventional therapy, increases the rate of recovery and the survival rate of patients, inhibiting the tumor by activating assistant T-lymphocytes, NK cells and complement C3. To date, this kind of clinical research has not yet been carried out in Europe. 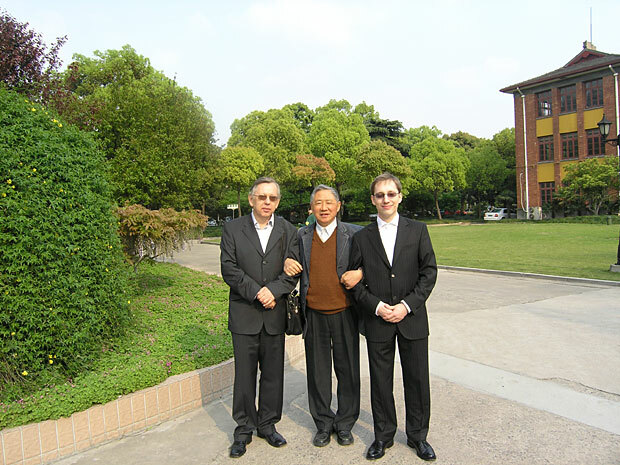 Ivan and Neven Jakopovich with Academician Q.Y. 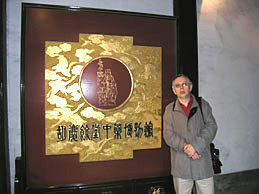 Yang, the inventor of PSP, a natural medicine derived from mushrooms, and president of the Department of Medicine of the Mycological Society of China, during a visit to Shanghai’s Yang Institute (April 2007). Although, we do not yet have controlled clinical studies, existing practical experience in the use of preparations made from medicinal mushrooms having proven antitumor effects in Croatia includes cases of the complete regression of carcinomas of the pancreas, ovaries, cervix and lungs, non-Hodgkin lymphomas and acute myoblastic leukemia, recurrent malignant brain tumor (ganglioglioneuroblastoma) in a child, metastases in bones following removal of a kidney due to a Wilms’ tumor, metastases in the neck following operation of a basalioma on the head, the significant reduction in size of a malignant brain tumor (astrocytoma), the extensive regression of metastases in the case of a lung carcinoma and in the case of breast cancer, and many other manifestations of the slowing and alleviation of tumor-related illness, an improvement in the overall state of the body or a significant reduction in the suffering of patients. cancer using medicinal mushroom extracts. Fortunately, the times when there was a fatalistic perception that cancer was an evil fate that leads to one’s inevitable death and whose possible appearance simply cannot be foreseen or avoided are a thing of the past. It was as though as if the old folk wisdom that an ounce of prevention is worth a pound of cure was no longer valid when it came to cancer. In the meantime, massive efforts have been invested worldwide in researching the causes and risk factors for the emergence of cancer. We are bombarded, virtually every day, with new recommendations on healthy living to reduce the risk of disease. Some findings and recommendations are relatively quickly proven fallacious, while others stand the test of time. The role played by some medicinal mushrooms and mushroom products in preventing the emergence and development of cancer fall into the latter group. Since precise research has confirmed some of the beliefs held by traditional medicine and traditional folk culture, especially those of the great civilizations of the Far East, some kinds of mushrooms truly deserve to be treated as “medicinal food” when it comes to cancer. This is true of shiitake, but also of button, oyster and some other kinds of mushroom. The previously mentioned researchers Mori Jr. and Nanba established that sarcoma 180 grows uninhibited in mice if there are no mushrooms in the diet, while if shiitake makes up 30% of their diet, the number of tumor cells is reduced by 58 to as much as 77.9%. The lion’s share of the effect is due to polysaccharides, although lipids also have an effect. Chihara also proved on mice that lentinan prevents chemically and virally induced oncogenesis: 2 to 3 weeks of the application of lentinan reduced the frequency of chemically induced tumors from 83 to 33% and by 79 to 40% in the case of virally induced tumors. In similar experiments, Nanba established that the Hen of the Woods (G. frondosa) reduces the frequency of the emergence of chemically induced liver cancer to 22.2%, while the D-fraction from this mushroom reduces it to just 9.7%. 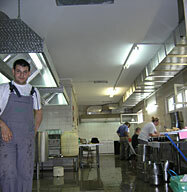 Other substances and processes are also at work. Nitrites, which occur naturally in many kinds of meat and some kinds of vegetables, and whose concentration in our food is particularly increased by copious fertilization with nitrogen-based fertilizers, mutate in the human body into other, carcinogenic compounds. These mutations can be blocked by compounds of nitrite “cleaners” found, for example, in shiitake, Tricholoma matsutake and the cultivated button mushroom. It is interesting that the presence of the “cleaner” thioproline in raw shiitake cannot be established, while there is as much as 843 mg/100 g of mushroom when it is cooked. The situation is similar with vitamin D which, when lacking in diet, is linked to a significantly greater frequency of breast and colon cancer. Just 2 g of sun-dried shiitake contains almost the entire recommended daily intake (US recommendation) of vitamin D.
The predominant effect of medicinal mushrooms in preventing tumors is, however, immunostimulatory. Antitumor substances from mushrooms activate an entire “network” of immunological reactions, and especially strengthen the defensive effect of macrophages, natural killer (NK) cells and T lymphocytes. persons having a high exposure rate to industrial carcinogenic agents in the workplace or the home (chemicals such as asbestos, benzene, pesticides, radioactive materials, vinyl chloride, soot, tar, mineral oils and others, heavy metals – lead, mercury, cadmium and others, metals such as chrome and its compounds, nickel in the refining process and others, industrial dust…). 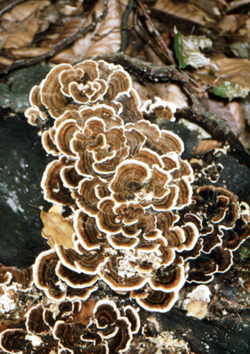 Trametes versicolor (=Coriolus versicolor), also known as Turkey Tail mushroom, is a very safe and powerful medicinal mushroom. For many healthcare professionals, the very idea that medicinal mushrooms could be of any use in combating HIV, the virus that causes AIDS, is “blasphemous”. But it is precisely in this area that some revolutionary discoveries have been made, even before the very powerful (and very expensive) anti-AIDS “drug cocktails” were recently put to use. These cocktails are not harmless, and the duration of their positive effects cannot yet be exactly determined. A series of studies have established that the active substances in some mushroom species can, either directly or through various factors of humoral and cellular immunity, prevent the proliferation of viruses and the development of viral infections, where there is a significant overlap in antiviral and antitumor activities. When it comes to AIDS, testing on animals, human cell cultures and on those who had contracted AIDS and AIDS-related diseases, have shown that lentinan, PSK and other substances from certain mushrooms are active on several lines of defense: they inhibit the adherence of HIV on “host” cells; inhibit the creation of reverse transcription enzymes through which HIV “writes” its genetic code into the DNA of attacked cells; and prevent the multiplication of HIV that has already penetrated the cells of the “host”. By stimulating the macrophage activity, enhancing the activity of interleukin 1 and assisting in the creation of antibodies, components from medicinal mushrooms provide powerful assistance to the production of T lymphocytes and prevent a reduction in their number, both in healthy and in HIV infected organisms. They also strengthen other immunological functions, speed up the regeneration of bone marrow cells, improve the activities of natural killer (NK) cells, strengthen the voraciousness of polymorphonuclear cells towards viruses, and lead to an increase in helper T4 (CD4) lymphocytes. The antiviral, and especially the anti-HIV effects of lentinan, a polysaccharide from the shiitake mushroom, were described in the early 1980s by T. Aoki. By the end of that decade, Tochikura, Nakashima and Yamamoto from the University of Yamaguchi were researching the effective agents against 4 strains of HIV-1 and one strain of HIV-2. They established that lentinan sulphate blocks cell to cell infection between 85.9% to as much as 96.9% in all strains except one. The extract of shiitake mycelium (LEM) inhibits this kind of infection at virtually the same rate, though in all tested strains of HIV, as does PSK from the mushroom C. versicolor. For comparison, AZT, the only official drug against AIDS at the time, was virtually ineffective against cell-to-cell infection (the rate of inhibition was just 2.8 – 10.2%). A report on this was published back in 1989 in the New York based Journal of AIDS. It had already been established that PSK inhibits HIV infection by modifying viral receptors or by preventing the adhesion of the virus to lymphocytes, and that it has a general antiviral effect by stimulating the secretion of interferons. At the time, Dharmananda had raised attention to the fact that the first clinical reports and experience of practitioners indicated that the immunostimulatory polysaccharide from Ganoderma lucidum could be useful to people infected by HIV. B. K. Kim made a similar report in the mid 1990s. 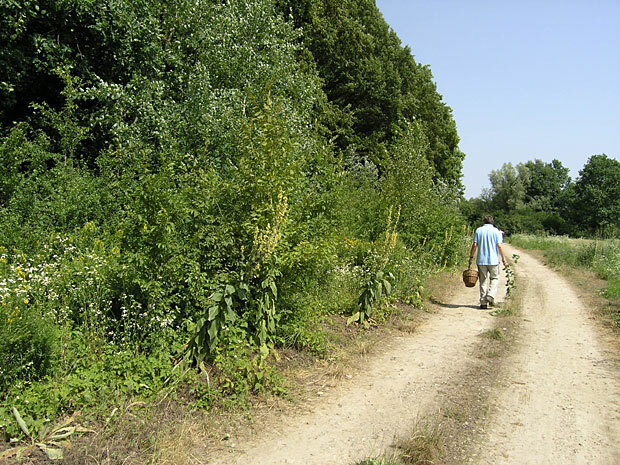 At the time, several American physicians reported an improvement in the status of patients with Kaposi’s sarcoma and other AIDS related symptoms after they had been given the extract of the Hen of the Woods (G. frondosa). Thus, the resulting improvement in the overall condition and immunological parameters of several Italian AIDS patients, treated in 1995 with extracts of several kinds of medicinal mushrooms prepared here in Croatia was entirely logical. The use of medicinal mushrooms in combating AIDS began in Japan in 1983. According to a report by Aoki, a 57-year-old HIV-positive woman treated with lentinan for the first time. The treatment was so successful that her health was entirely normalized. The entire world, or the expert public at least, was informed of this in 1985 at the Third International Conference of Immunopharmacology held in Florence, Italy. The woman had previously undergone surgery to remove breast cancer, and was likely infected with the HIV virus via a blood transfusion during surgery. After a 5-month period in which she was given lentinan, it was established that she was no longer HIV positive, the number of helper T lymphocytes had significantly improved, and the activity of natural killer (NK) cells had increased from 36% to 80.8%. Three years later, she was still healthy and there was no need for further medical treatment. Three years later, the Japanese government approved the use of lentinan in a national anti-AIDS research program. The first to be included in the study were HIV positive hemophiliacs, some of which achieved almost normal lymphocyte levels in less than three months. An open testing of the effect of lentinan on HIV followed at 16 medical schools and hospitals. Today a growing number of medical experts worldwide know that lentinan is particularly effective in stimulating and the recovery of helper T lymphocytes. This is the first immuno-medication that improves the killer ability of T lymphocytes, regenerating the function of helper T lymphocytes without which this is not possible. Clinical testing of the use of lentinan in fighting AIDS was launched in the USA in 1989. The results of a pilot study showed a 30% increase in the number of helper T4 lymphocytes in patients. The importance of the increase in T4 lymphocytes, although their number remains an indicator of the progression or regression of the disease, was made somewhat relative by the discovery that HIV, by attacking macrophages and dendritic cells in lymph nodes and the skin, blocks the mechanism that informs the immunological system that enough T lymphocytes have to be produced to effectively oppose viruses. Unlike T lymphocytes, macrophages continue to live when infected by HIV, and the multiplication of HIV is reduced when they are treated with immunostimulants. Macrophage stimulation is yet another task for lentinan. Significantly better results are achieved by combining lentinan with antiviral drugs. For example, Kaneko and associates “measured” that lentinan and AZT used together inhibit HIV from 5 to 24 times more effectively than AZT alone. Especially significant, however, is the extract of the shiitake mushroom mycelium (LEM). We have already cited the research carried out by Tochikure and associates, which demonstrated that LEM has a very high rate of blocking cell-to-cell infection by various strains of HIV. Their study also demonstrated that, among other tested substances, it is equally effective in blocking extracellular HIV infections (extracellular body fluids). By blocking both main routes of HIV infection from the start, LEM is superior to AZT, which is not only expensive, but is also very toxic to bone marrow, causing a number of other serious and danger side effects. Over time it is also increasingly less effective, and life expectancy is not extended, even if used very early on. Contrary to this, LEM is as non-toxic as normal human food, and is much less expensive. Perhaps most importantly, as established back in the late 1980s by H. Suzuki and his associates at the University of Tokyo, some components of LEM while activating macrophages, also cause the regeneration of bone marrow cells, the “birthplace” of our defense cells. This refers to a derivative of lignin EP3, which not only inhibits the creation of enzymes used by HIV to replicate in attacked cells by a rate of 90%, but also completely prevented HIV from damaging the very sensitive T lymphocytes. This most effective part of LEM simultaneously acts as an immunostimulant and antiviral agent and reaches its peak absorbance within 6 hours from application. It primarily accumulates in the liver, lymph nodes, kidney cortex and in the vertebrae. On the basis of this Japanese success, Sharon reports that HIV-positive and AIDS patients that still do not have greater symptoms of the disease take 2 g of LEM each day until the symptoms disappear without recurrence (this is assumed to be from 6 to 12 months), and then move on to a dose of 650 mg per day for maintenance. The predominant medical belief still holds that when a person becomes HIV positive, there is no return. As far back, however, as in the mid 1980s, Jones treated a carrier (HIV positive, but showing no signs of disease) in the USA with LEM for a period of 2 months. The results showed that the viral antigen was no longer present: the patient had become HIV negative. Young specimen of Grifola frondosa (maitake, hen of the woods). Ever since the finding was made that HIV in seropositive persons is long concealed in lymphatic tissues before it significantly damages the defensive system, some scientists working on AIDS have felt that there is no need to wait for the number of T lymphocytes to start declining, but rather believe that the use of life-prolonging agents should begin immediately. That would open the possibility that some patients, as a result of sufficiently early treatment with immunostimulatory and antiviral substances, never even develop AIDS symptoms. It is, of course, imperative that medications be developed that will not devastate the organism if taken for many years, possibly for decades, and perhaps on a life-long basis. Each treatment would likely have to incorporate several agents. The harmless products of shiitake and other medicinal mushrooms, along with other effective natural products that are being tested, are certainly among the first group of candidates for regular use in combating AIDS. 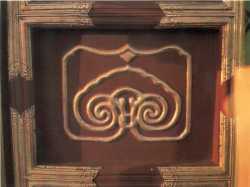 However, they have been much ignored and disparaged by the dominant currents in Western medicine. At the 11th World AIDS Conference, held in Vancouver, Canada in 1996, Italian immunologist Mario Clerici reported on the results of a broad European AIDS study his team conducted. He estimated that as many as 30 to 50% of the people who come into contact with HIV do not become seropositive, thanks to the strength of their immune system. Is that not yet another argument in the effort to avoid HIV infection and contracting AIDS, that one should, besides avoiding high-risk activities, reach for harmless immunostimulants from medicinal mushrooms in order to reduce the level of risk as much as possible? Because of their immunostimulatory and antiviral ingredients medicinal mushrooms could also be of great benefit in fighting other viruses. They can provide powerful protection from infection if taken prior to contact with a virus, and can assist the body in inhibiting and overcoming an existing infection, thereby speeding up recovery. 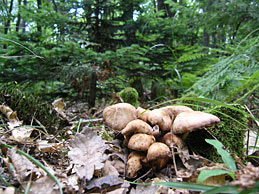 Certain kinds of mushrooms can significantly either prevent or ease fighting the parainfluenza and rhinovirus viruses (the common cold), influenza (the flu), herpes simplex and herpes zoster viruses, cytomegalovirus, the Epstein – Barr virus (infectious mononucleosis – the “kissing disease”), various hepatitis viruses and so forth. The better the level of natural defensive power present in the body and the sooner treatment with mushrooms and their products begins, the better the effects. 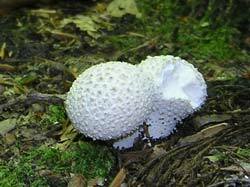 It was back in the 1950s that Cochran and Lucas first began investigating the antiviral qualities of (higher) mushrooms, establishing that the giant puffball (C. gigantea) and the meadow mushroom (Agaricus campestris) provide significant protection from the poliomyelitis virus in mice. Later, in 1966, Cochran and associates established that the king bolete or porcini mushroom (Boletus edulis), the giant puffball, the Slippery Jack (Suillus luteus), shiitake, and the birch polypore (Piptoporus betulinus) are effective against the influenza virus. In the mid 1970s, Yamamura and Cochran isolated Ac2P from the shiitake mushroom, which selectively inhibits orthomyxoviruses (which include the influenza viruses), while father and son Mori found virus-like particles in the shiitake mushroom that stimulate the secretion of interferons in the body. F. Suzuki and his team discovered that RNA from spores of the shiitake mushroom also stimulate the production of interferons, and that the compound KS-2, extracted from shiitake mycelia, provides significant prophylactic and therapeutic protection from influenza. The value of these discoveries is clearly evident when compared with the magnitude of the problem to healthcare and people caused by intermittent influenza epidemics around the world. By activating humoral and cell immunity, the lentinan derived from the shiitake mushroom acts not only against HIV, but also against other viruses, including influenza, and improves overall resistance to viral infections of the pulmonary organs. LEM and its component EP3 completely prevented damage to cells infected with type 1 and 2 herpes simplex viruses. They also prevented damage to cells infected by the equine encephalitis virus and partially inhibited the mumps virus, measles and the polio virus. In support of his application for a US patent in the 1980s, Japanese pioneer in the production and study of LEM qualities C. Iizuka cited the results of testing on the effects of the polysaccharide components of LEM mixed with the plant growth factor zeatin. Without the mixture, only 10% of mice infected with herpes survived, but when the mice received the preparation two days after lethal doses of herpes, 75% survived. When they received the preparation two days before being infected, there was a 90% survival rate. In the early 1990s, Koga and associates isolated an anti-herpes LEM fraction, naming it JLS-18. They proved that this fraction, when applied either locally or orally, prevents the multiplication of viruses in the body, and prevented recurrence of the disease in previously infected “hosts”. Jones treated a group of people with genital herpes with LEM for three months. During this time, 30% experienced significant improvement, 30% experience moderate improvement, and the disease was stabilized in 10% of patients. In the remaining patients, there was no worsening of the condition. Orthodox medicine has yet to offer a suitable solution to this virus, which is increasingly widespread and which has infected millions of people worldwide. Genital herpes is possibly the most widespread of all sexually transmitted diseases. Both Chinese and Japanese researchers have dedicated a great deal of attention to hepatoprotective substances in medicinal mushrooms. Lentinan has demonstrated protective effects on the livers of animals, and LEM improved the function of the liver and the creation of antibodies in the case of hepatitis B. In combination with polysaccharides from Ganoderma lucidum and C. versicolor, lentinan improved or entirely normalized some liver enzymes in mice with toxic hepatitis. Hepatitis is the most widespread disease, with more than two million deaths worldwide each year, and more than 300 million infected. Over 30% of the infected acquire chronic active hepatitis, which can cause liver cancer, cirrhosis and liver failure. Injections with alpha interferon, used since 1992, leads to real recovery in only 40% of cases. Tests with LEM at 16 Japanese clinics have shown the creation of antibodies in cases of chronic hepatitis B. In one pilot study, a four-month treatment using LEM led to inactivation of the virus in 36.8% of chronic hepatitis patients, while in other studies LEM completely cured patients with serious epidemic forms of the disease in less than three months. Given the immunostimulatory way in which it works, from stimulating the secretion of the body’s own interferons, the creation of antibodies and so forth, it is logical to expect good results in fighting hepatitis C and D viruses and other hepatitis viruses that are appearing or will appear in the future. 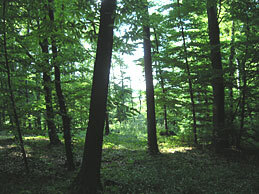 Our still modest and sporadic experience in Croatia is, nevertheless, indicative, because it has shown that the extracts of some medicinal mushrooms significantly speed up the recovery from certain viral infections – from herpes zoster and herpes simplex, to the influenza virus (the flu) and the parainfluenza and rhinovirus viruses – the cause of the common cold. Especially promising are significant and very significant improvements after several months of hepatitis treatment, particularly in the case of hepatitis C.
How does this mechanism function? Atherosclerosis develops when an accumulation of cholesterol in the arteries gradually blocks blood flow. High cholesterol levels, especially that of low density, causes the blood cells to stick to one another, i.e. it increases the viscosity (stickiness) of blood. In our thirties, the walls of our blood vessels become less elastic. This leads to blood cell clotting, and due to the reduced elasticity of the veins, blood flow is reduced and the “rinsing” of these clots is also diminished. What is worse, clots stick to the artery walls even easier when we are under stress, and this is further facilitated by a high-fat diet. Scientific research has confirmed the popular notion of the folk medicine of Far Eastern nations that the shiitake mushroom (Lentinus edodes) is the kind of food that “activates blood flow” and prevents and even heals “a discharge of blood in the brain.” The shiitake mushroom, like other species of medicinal mushroom, contain eritadenine, grifolin, polyunsaturated fatty acids, the derivatives of some ganoderic acids, neutral detergent-fibers and chitin fibers etc., which significantly reduce or maintain normal fat levels in the blood (cholesterol, triglycerides and phospholipids). Other compounds (germanium, lentinan, tyrosinase…) found in certain mushroom species directly improve blood flow, expand blood vessels, prevent the loss of their elasticity, and especially increase the supply of blood to the brain and heart. These processes are also assisted by substances that act as a calmative on the central and autonomic nervous system in a harmless, natural way, and further regulate blood pressure. Nucleosides and other derivatives of nucleic acids and adenosine prevent the aggregation of blood cells (anti-thrombotic effect). The first study was carried out by Kaneda and associates at Tohoku University in Japan in 1974. For ten weeks, they added a certain amount of mushroom to the diet of rats and established that shiitake reduced the concentration of cholesterol in the blood by an average of 24%. When 1% cholesterol was added to the animal’s diet, the effect was even more dramatic – a reduction of cholesterol from 36 to 45%. 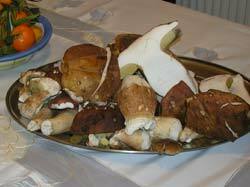 Other kinds of mushrooms also have a certain effect, including tinder polypore (F. fomentarius). Later, a series of precise tests established the same effect in Ganoderma lucidum, C. versicolor and in the favored edible mushroom in the Far East, the Judas’s ear fungus (Auricularia auricula). Eritadenine is the chief active component of the shiitake mushroom having a hypolipidemic effect. It was first established in a study on rats that eritadenine begins to reduce the level of cholesterol in the blood within 3 hours of use, and that this effect continues up to a year after it is excluded from the diet! It has been demonstrated that eritadenine reduces the level of all fats in the blood – cholesterol (especially the “dangerous” low density kind), triglycerides and phospholipids. In doing so, it does not influence the synthesis of cholesterol vital to cell construction, but rather speeds up the processing of cholesterol in the liver and its secretion through digestion. This adjustment of the metabolism to increased “degreasing” of the blood also lasts for a long period of time. Shiitake also contains other substances with this effect. Kurasawa and associates proved this of a neutral detergent – fiber. The unbroken line of research efforts is also shown, for example, by the research carried out by Sugiyama and associates. In the mid 1990s, they demonstrated that the Hen of the Woods mushroom contains the active substance grifolin, which also reduces cholesterol levels in the blood. These positive effects have, of course, been proven in people as well. In 1974, Suzuki and Ohshima carried out tests with three groups of healthy young women at the National Institute for Nutrition in Tokyo. After only 7 days, the two groups that ate dried shiitake mushrooms recorded an average cholesterol reduction of 7%, while in the group that ate fresh shiitake the reduction averaged 12%. When the same experiment was repeated on persons over 60 years of age, the level of cholesterol did not drop in the first 2 to 3 days, but it still averaged about 9% after one week. What is particularly significant is that increasing fats in the diet causes an even greater cholesterol reduction effect: in the test group that consumed an additional 60 g of butter in a no mushroom diet, the level of cholesterol grew by 14% in a week, as opposed to the group that ate fresh shiitake with butter; their cholesterol levels dropped by 4% after one week, meaning an overall decrease in the level of cholesterol in that group of 18%. In his classic book Mushrooms as Health Foods, Mori also cites the results of a more extensive study, which included 420 young women and 40 elderly persons: after 7 days of eating shiitake mushrooms, the cholesterol level in the elderly group fell by 7 to 15%, while the drop among the young women was from 6 to 12%. The results of one very significant study were published in 1989 by Li Hua Ren (Ryong) and A. V. Vasilyev and associates, from the USSR’s Cardiology Research Institute and the Nutrition Institute of the Academy of Medical Science in Moscow. They tested the effects of 20 mushroom species on the creation of aggregations of cholesterol (plaques, i.e. atheroma) in arteries on both healthy and sick persons, and on cultures from cells of the interior layer of the aorta (the tunica intima) taken 2 to 3 hours after death. Of the 13 species that demonstrated active fat reduction in the blood, 9 had such an anti-atherogenic effect that they not only inhibited an increase in cholesterol, but they also prevented damage to the artery in heart patients in the form of the thickening of degenerative tissue in internal arterial walls. In addition to shiitake, which the already cited 14th century Chinese physician Wu Rui claimed was “good for treating heart problems”, the mushroom species Tricholoma matsutake, Sarcodon aspratus and Ganoderma lucidum also proved to be effective. The most effective mushrooms have such a penetrating power that serum samples taken from healthy persons, who consumed a small meal of these mushrooms and nothing else after a short period of fasting, significantly reduced cholesterol levels in atherosclerotic cells taken from heart patients. Ultimately, only two mushroom species were selected for testing on chronic heart patients, as a “dietary supplement” and in a single dose: shiitake and, most effective of all, Ganoderma lucidum. It is unbelievable, but true, that the serum of chronic heart patients demonstrated a toxic effect on cell cultures from a healthy heart, causing aggregations of cholesterol and the creations of atheroma, and that this changed after taking either of these mushrooms! The results were truly significant: within 5 hours of taking a single dose of shiitake or Ganoderma lucidum, the previously toxic serum “lost the ability to accumulate cholesterol” by 30 to 41%. A massive American study by J. Stamler and associates on the connections between cholesterol and heart disease showed that every time we reduce our cholesterol level by 1%, the risk of heart disease drops by 2%, regardless of other factors. In middle-aged men, about half of all deaths caused by heart disease are connected to high cholesterol levels. Each increase in cholesterol also increases the risk of coronary sclerosis. In women the rate is lower, though still high, as was demonstrated by L. A. Simons in an analysis of death from sclerosis of the coronary arteries in 19 countries, with a global average of 31% deaths from heart disease related to elevated cholesterol levels. Most people with elevated cholesterol levels should reduce these levels by 30 to 50%. The pharmaceutical industry produces drugs for this purpose. But the question that arises is the price of the use of these drugs for the gained level of cholesterol reduction, what side effects it causes and how lasting the effects are. It should also be pointed out that studies have demonstrated that elevated cholesterol levels also mean a greater risk of breast cancer and lung cancer in women who do not smoke, a reduced level of antibody creation, a reduced capacity of macrophages to cleanse the body of foreign cells, and other immunological disorders. Research has also confirmed the claims of traditional Chinese and Japanese medicine that the shiitake mushroom, Ganoderma lucidum and some other mushroom species have both a calming effect and reduce high blood pressure. Kabir achieved a significant reduction of blood pressure in hypertensive rats in just 14 days with the help of medicinal mushrooms. These effects have also been clinically tested on humans. A pilot study carried out in China in the late 1980s demonstrated that high blood pressure and high cholesterol levels in heart patients were significantly improved in 20 to 48% of cases, and the level of cholesterol was reduced in 68% of cases after a few months of using the mushroom extract. Testing in 7 Chinese hospitals demonstrated overall improvements in heart patients in as many as 81.8% of cases. Substances have been isolated in Ganoderma lucidum and some other mushroom species that strengthen the heart (cardiotonics), alleviate arrhythmia, reduce the rate at which the heart beats, reduce resistance in peripheral and coronary arteries, improve the supply of blood to the brain, increase the supply of oxygen to the heart without altering blood pressure, act as sedatives and anticonvulsants, and alleviate symptoms such as heart flutters, loss of breath, pain in the heart area and edema in heart patients. In the multi-volume work Pharmacology and Applications of Chinese Materia Medica, published in Singapore in the late 1980s, Chang and But reported clinical studies that prove that the use of medicinal mushrooms also reduces essential and renal hypertension in people. In the mid 1990s, Cheng and associates proved that extracts of Ganoderma lucidum reduce viscosity (stickiness) in blood in patients with high blood pressure and cholesterol levels, some of whom were recovering from strokes. Prior to this, Korean researchers Lee and Phee published the results of a study that demonstrated that mycelial extracts of Ganoderma lucidum reduces blood pressure by inhibiting the activity of the sympathetic nervous system. Moreover, the shiitake mushroom strongly prevents blood clotting or the aggregation of blood cells. This was first proven by Hokama and Hokama of the University of Hawaii in 1981. They also established that one species of Judas’s ear fungus (Auricularia polytricha) has an anti-thrombotic effect 8 times greater than that of shiitake mushrooms. Subsequent research also registered this effect in A. auricula (along with additional blood clotting prevention), Ganoderma lucidum (where the active substance is adenosine), the mycelium of C. versicolor(with an additional vasodilatory effect) and others. In the present age it would, of course, be both frivolous and irresponsible to treat acute heart disease and blood vessel ailments with medicinal mushrooms and mushroom products, especially those diseases that present a direct threat to life and require urgent medical attention. The use of mushrooms is “limited” to those aspects in which official Western medical routine lacks (satisfactory) solutions. Firstly, in preventing heart and blood vessel disease. Secondly, in alleviating and easing chronic cardiovascular diseases. And thirdly, in speeding up recovery after medical treatment of emergency situations (such as heart attacks and strokes). As far as atherosclerosis prevention is concerned, something that truly does not receive the attention it deserves, all men regardless of age and all women above 35 years of age are at risk from this fundamental blood vessel disorder. Greater exposure to this process, and thereby greater threat, is present in all those who consume a great deal of foods rich in fats, animal fats in particular, in persons who have an increased likelihood that serious atherosclerosis and related cardiovascular disease is hereditary, in smokers, kidney patients, diabetics, those suffering from high blood pressure, and the physically inactive. The use of certain mushrooms can effectively alleviate chronic heart and cardiovascular disease and speed up recovery from acute complications, high blood pressure (especially serious and malignant hypertension), arteriosclerosis, deep vein thrombosis, lung embolisms, dry gangrene, coronary sclerosis, heart attack, ischemia, stroke, atherosclerosis induced kidney and eye diseases and the like, and hyperlipidemia, gall bladder stones, gout, atherosclerosis and hypertension induced impotence, and so forth. In Croatia, positive results following the use of medicinal mushrooms have been registered in reducing the cholesterol and triglycerides levels in blood, with extended effectiveness, in reducing high blood pressure, including balancing oscillating blood pressure, speedy recovery following serious head trauma endured in automobile accidents, and eliminating circulatory disorders in hands and feet. Success has also been seen in contributions to repairing serious ischemia and initial gangrene in the feet of diabetics and hypertonic patients who had survived strokes, thereby avoiding the amputation of both legs, thought by physicians at the time to be the only possible solution. Some kinds of medicinal mushrooms can also provide optimal regulation of blood sugar levels when diabetes (diabetes mellitus) is already present. They have also been shown to assist in establishing a healthy lifestyle thereby preventing the emergence and development of diabetes in healthy persons and persons with borderline forms of diabetes. Modern scientific research has confirmed some of the insight of folk medicine, in particular from traditional Chinese and Japanese medicine, of the hypoglycemic effect of certain mushroom species: St. George’s mushroom (Calocybe gambosa), shiitake (Lentinus edodes), the wood blewit (Lepista nuda), Ganoderma lucidum, the Hen of the Woods (G. frondosa), the common stump brittlestem (Psathyrella hydrophila), and others. Certain active substances in mushrooms stimulate the secretion of insulin. Others lower the blood glucose levels, without increasing insulin. 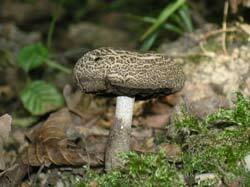 In some mushroom species, a hypoglycemic effect has been established, though the mechanism behind it is still unknown. The use of certain mushrooms in the diet (shiitake above all) to normalize blood sugar levels has been a standard practice in China and Japan for ages, and well documented in records of the traditional Chinese and Japanese use of medicinal mushrooms. This was not considered, nor is it now considered, something exotic and frivolous, but rather as a part of a standard and verified medical procedure, backed by a wealth of experience among medical experts, by precise experimentation on animals, and by clinical testing on humans. Contrary to this, in Europe and America the findings of some experts and researchers have not had even the slightest repercussions in research and practice. Characteristic in this regard is the finding of French physician M. Potron concerning the anti-diabetic effects of St. George’s mushroom, the wood blewit and the common stump brittlestem, published in the Paris-based research journal Concours Medical back in 1956. In addition to having a hypoglycemic effect of the fruiting bodies and mycelium of some mushroom species, it has been proven that blood sugar levels are reduced by other substances present in mushrooms, such as ganoderans A and B from Ganoderma lucidum (Hikino et al. 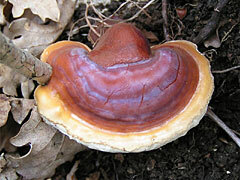 ), lentinan from the shiitake mushroom, thiosulphonate and dietary fiber. Satoh and associates at the Tohoku University School of Medicine in Japan established that lentinan effectively inhibits the development of insulin-dependent diabetes (type I) in mice. Sharon reported that in non-insulin-dependent diabetes (type II), LEM caused an increase in the secretion of insulin and a reduction in cholesterol levels in rats, while in people blood sugar levels and the level of sugar secretion in urine were brought into the normal range. It was also demonstrated that thiosulphonate inhibits the activity of the factors that destroy vitamin B1, which regulates carbohydrate metabolism. G. Chihara pointed to the fact that dietary fiber in mushrooms, which can neither be digested nor absorbed, cleanse the intestines of harmful substances, and also form a good base for enterobacterium. This combined effect prevents the emergence and development of diabetes, and of arteriosclerosis, hypertension and thrombosis. Some research has shown that immunological and virally triggered disorders can contribute to the emergence and development of diabetes, and the substances present in mushrooms having immunomodulatory and antiviral effects can have a significant effect on these disorders. Besides contributing to the normalization of blood sugar levels, the careful use of medicinal mushrooms can also support and render more effective other general measures to regulate diabetes. By reducing the level of cholesterol and triglycerides and by adding fiber, they contribute to a healthier diet and a reduction in body weight. They also improve fitness (physical strength and stamina), thus making the essential physical activity of diabetics easier and more effective. The cited mechanisms also reduce elevated blood pressure levels and improve blood flow. The addition of vitamin B1 and the prevention of its quick decomposition in the body, makes it easier to avoid and handle stress and strengthens resistance to viral infections and improves overall immunity in the individual. All of this prevents and reduces the likelihood of serious and fatal complications in diabetes, such as heart attack, stroke, kidney disease and failure, disorders of the blood vessels in the leg which can lead to gangrene and the need to amputate, disorders of nerves for which there are no effective medications, ocular disorders which can lead to blindness, sexual dysfunction in both men and women, and so forth. Medicinal mushrooms cannot, of course, remedy acute diabetic complications that require immediate medical intervention. They can, however, be of exceptional benefit to diabetics wishing to improve the regulation of blood sugar levels, to persons with borderline forms of diabetes in preventing or achieving a long-term delay in the development of the disorder, and to all healthy persons wishing to reduce the risk of the emergence of diabetes, especially if they have a family history of the disease.